Ms BlueRaven has over 35 years expertise in areas of Modality healing and Analysis. She is an off world initiate and hybrid Matrix who offers a unique formula of healing for each of her clients. Online classes and private sessions are available for the following. Craft-work, Psychic shielding and self defense, Attunements, Spell-work, Crystal healing modalities, Toning and sound healing,Path of the Star Witch, Chi Gong and breathing techniques, color therapy to name a few. Below is a list of classes or private sessions. 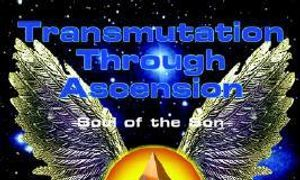 DNA activation and Ascension series. Based on my book "Transmutation Through Ascension". Holographic grid repair, psychic surgery and initiations in Reiki, Ra Sheeba, Ancient Atlantean and Arcturian healing modality attunements. Ancient Mystery School series and re-activation of the KA. Sessions only. Classes by request. Contactee inductions and celestial anomalies. Class or private session. $212.00 per hour/session. Universal Life coaching, health and fitness, prana, love and balance. $212.00 per hour. Session. Light body lifestyles. Timeline Astrology, Numerology. Samhain special 2019 $122.00 per hour for a limited time. Session discount is for a limited time. Water and consciousness, Alchemy through Spirit, Cosmic Cocktails. Celestial downloads. Class $212.00. Programming water. Classes start at $300.00 for two hours.. Groups of three or more receive a discount of $177.00 for two hours. Private instruction $212.00 per hour. Special rates workshops are coordinated online and start at a discounted rate for $144.00 per person. Workshops will run two hours and will continue on as a series. These special workshops will transpire twice a year. Corporate discounts are honored. Contact Ms. BlueRaven for more information. Master Teacher Initiations such as Reiki, Angelic Initiations, Ra Sheeba must be done in person. Attunements can be done at a distance. Workshops in self defense, Boxing, Kickboxing,Mixed Martial Arts, Tai Chi, Chi Gong are available in a minimum of 8 at a physical location. Stay tuned for more information. If you live out of state and would like to sponsor a healing workshop incorporating any of these practices contact Ms. BlueRaven. Stress release, powering down or up the body techniques are also available. Class or private consultation. $212.00 per hour. Dream analysis assessment, inductions, psychic attacks. Class only. $212.00 one hour. Psychic Self Defense. Neutralizing psychological warfare. Class only. $212.00 one hour. Reprogramming the DNA. $244. Per session. Releasing vows and contracts $212.00 per session. Light Master etheric Surgery. $333.00 session, Arcturian modality system. Axiotonal Cosmic, Holographic grid alignment and meridian clearing. $333.00 in person only. Nightshadow Skywatching. $75.00 per person coming soon. Colorado Rockies, Maui. Celestial heritage, DNA accessing and cellular memory and trauma release. $212.00 Assessment and distant healing. Light-Master Surgery and Holographic Grid Repair. $333.00 session. Remote Viewing, Ascended Machine Language $333.00 session or classes available. Ms. BlueRaven is the founder of Ascension Point Boulder founded in 1995 and is the owner and CEO of Nightshadow Anomaly Detectives. She is the Grand High Priestess and founder of Boulder Witches Black Hat Society and Blue Star Fortress Coven. Reiki, I,II,III Master Teacher Level Series. Instruction classes only in person. By Ms. BlueRaven's approval only. Blue Star Celestial Healing Series: Instruction in person only. By Ms. BlueRaven's approval only. RA Sheeba levels 1, II, III. Ms. BlueRaven's approval only. Attunements and initiations are available by Ms. BlueRaven's approval only. Contact Ms. BlueRaven for rates regarding initiation. Radionics, Higher Light Integration, Light Body Activation, Merkaba Activation are done as a private session in person or at a workshop. Attunements: Melchizedek,Shakti, Fire of Egypt, Temple of Star Goddess, Celestial light language. Contact Ms. BlueRaven for the initiates list of attunements and initiations. See her published book "Transmutation Through Ascension", Soul of the Son". Published in 2004. 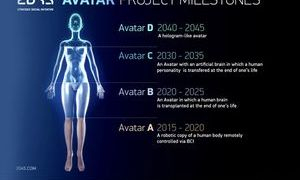 Note: This data is a collective of my professional background, initiations and teachings. I am a certified specialist in these areas. My cosmic signature pertaining to my classes and private sessions are specific, technological and unique. More to come. Ms. BlueRaven is available for sponsored workshops. Coming soon virtual classes and online workshops. Solaris BlueRaven's published books are available on Amazon.com and at Author-house books. Stay tuned for her new book upcoming 2019. Scheduled presentations for 2018. Links are listed below. www.ufowatchtowerevents.com. Great conference. Check for archives. stargatetothecosmos.org. Great conference. Check for archives.